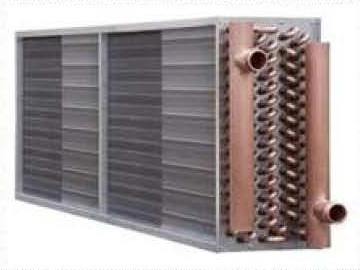 Depending on the material characteristics and the aggressiveness of the ambient air, the right selection of the material combination for a heat exchanger has a strong bearing on the service, hygiene and operating safety. In order to find the best solution for the material selection, we provide a large variety of material combinations and available piping and connection systems. 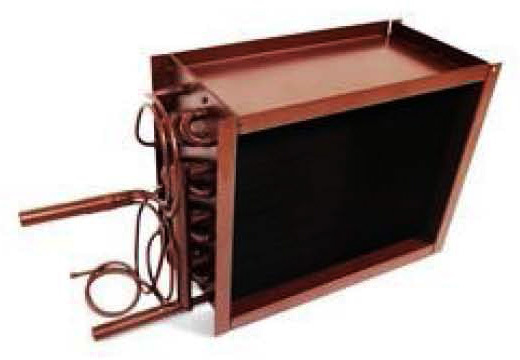 All types and sizes of Coils, Radiators and HVAC/R equipment can be Heresite Coated with P-413C heat cured phenolic. It will protect against damaging environments such as salt air, acid rain, and swimming pools chlorine, as well as most other corrosive atmospheres. 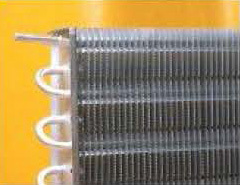 The coating will extend the life of the coil or radiator several times compared to an uncoated coil, and the effect on heat transfer is negligible. Blygold PoluAl has excellent UV resistance, chemical resistance, and impact resistance, covers all cut fin edges, does not crack or flake, and does not bridge between the fins; even on fins with enhanced geometric designs. 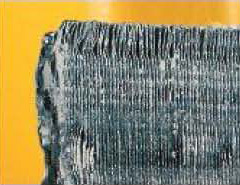 The thinness of the dried Blygold PoluAl topcoat (1 mil ) and its lack of organic pigments minimize the negative effects that other protective coatings have on the performance characteristics of heat exchanging equipment, such as, pressure drop and heat transfer losses.